Beginning with the early 1800s and extending up to the modern era, Rosales collects illuminating documents that shed light on the Mexican-American quest for life, liberty, and justice. Documents include petitions, correspondence, government reports, political proclamations, newspaper items, congressional testimony, memoirs, and even international treaties. F. Arturo Rosales is Professor of History at Arizona State University. ..". a well-researched look at the history of the Mexican American struggle in the pursuit of life, liberty, and justice in the United States." 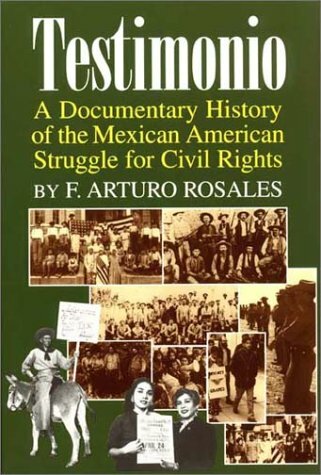 ..".a well-researched look at the history of the Mexican American struggle in the pursuit of life, liberty, and justice in the United States."